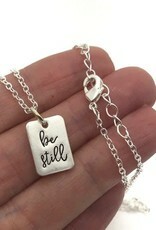 Dainty silver or gold Be Still Necklace with quote card. 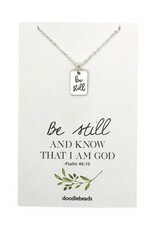 Small 14mm rectangle disk is stamped Be Still. Silver or Gold matte finish. 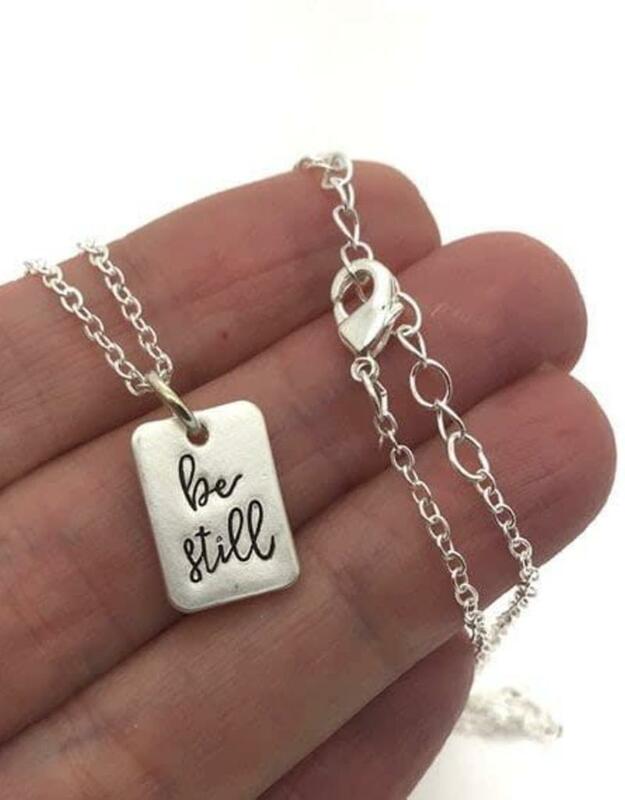 Chain is 16-18″ adjustable. 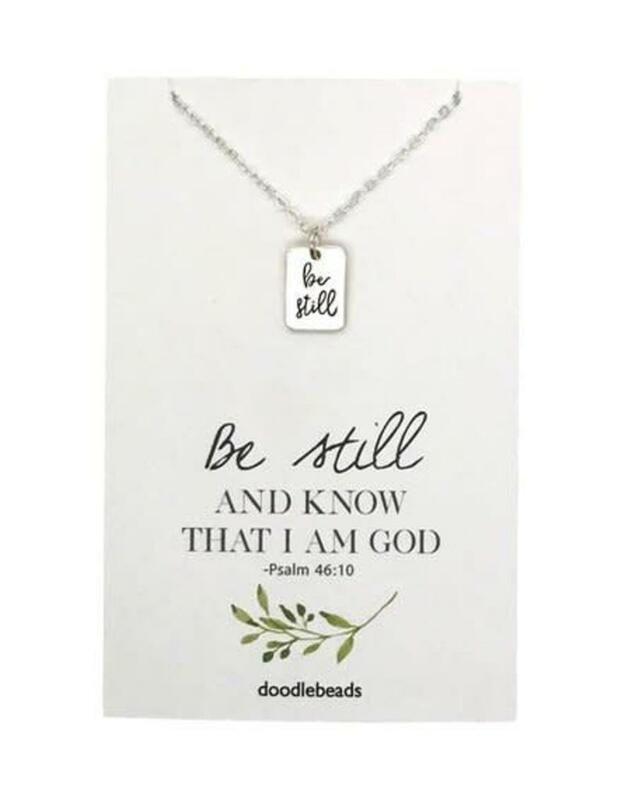 Card quote – Be Still and know that I am God.